Jakub started working for IPC in 2012. He is responsible for managing the direct marketing community of experts where best practice and research on mail advertising is exchanged. He set up the IPC Direct Marketing Guide which as an expert view on some of the most-discussed topics in the industry such as programmatic direct mail, the GDPR, geomarketing and the powerful combination of mail advertising and e-commerce. 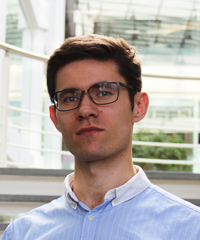 In 2018, Jakub helped analyse the connection between mail and e-commerce in a pilot research launched in Germany, Japan and the US. Jakub has a degree in European Studies & Public Relations from the City University of Gdańsk.